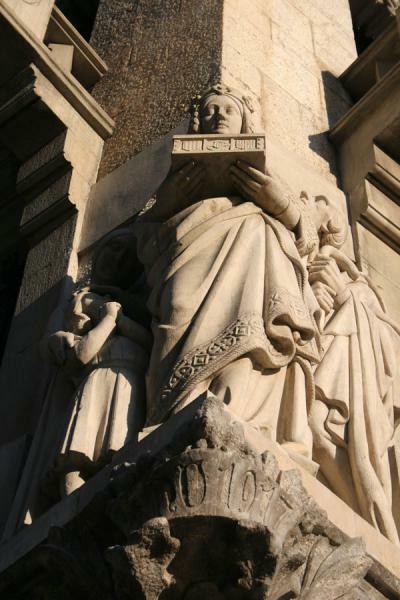 Walking out of the Gothic quarter and crossing one street can take you to the entirely different world of the Sant Pere neighbourhood. 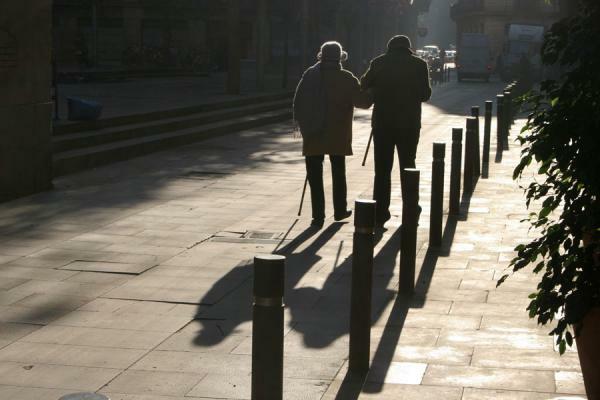 Here, you can stroll in quiet alleys, you can watch elderly people slowly going for a walk, you can see women chatting on their balconies, while someone on the street pulls a cart with boxes to their destination. 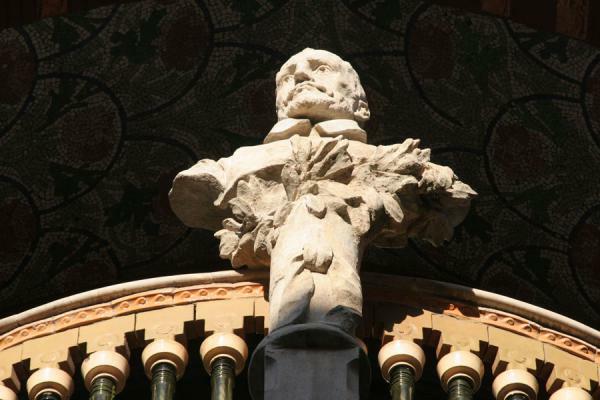 Sant Pere is not an area to go for amazing architecture, but it is all the more interesting just because of its complete normality and lack of pretense. While the sun struggles to get a foot on the ground in the alleys, life goes on anyway, albeit slowly and in an undisturbed way. 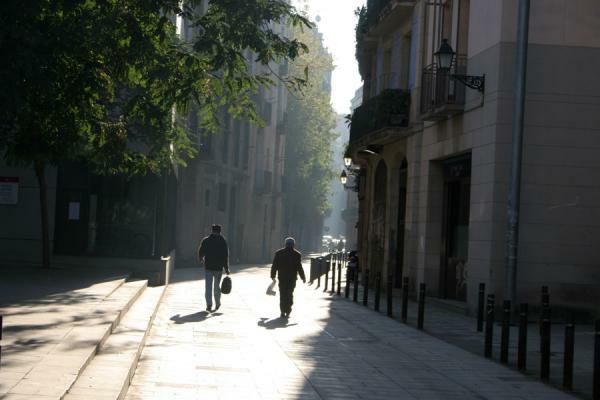 Walking in Sant Pere, it is sometimes difficult to realize that you are really not far away from the hustle and bustle of downtown Barcelona. 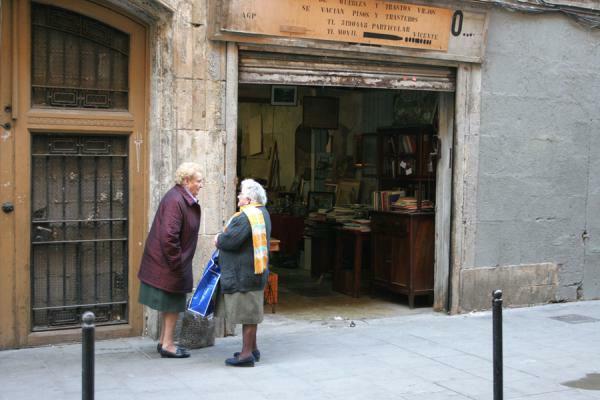 But of course, that is the charm of this old neighbourhood. 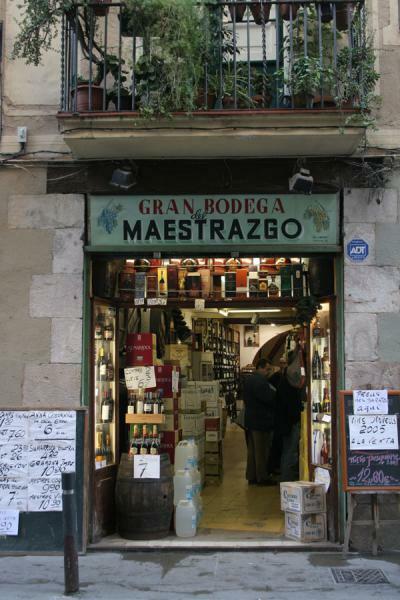 One of the most interesting streets is the Sant Pere mes Baix, where small shops of all kinds can be found, and one of the oldest pharmacies in the city, founded in the 15th century. There are some remarkable buildings though. 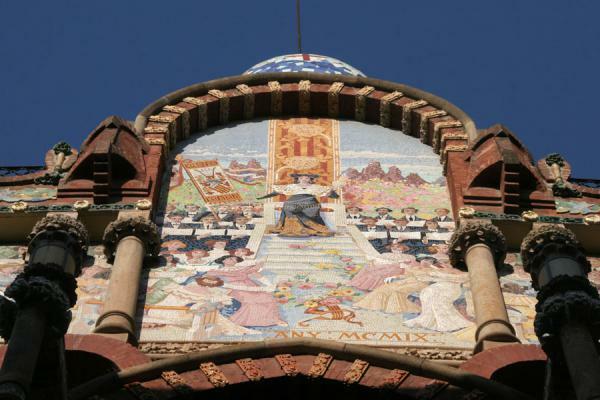 First of all, the Palau de la Música Catalana, designed by Domènech i Montaner. 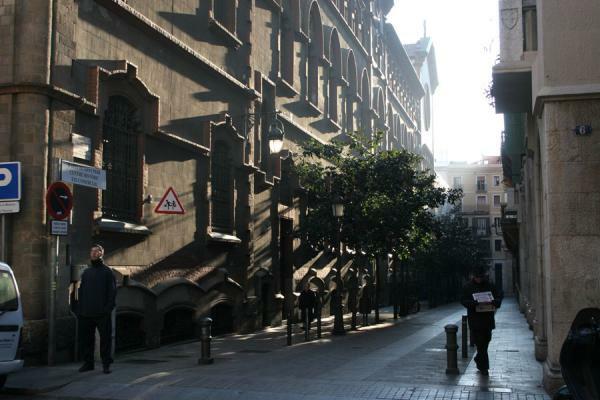 Built in the early 20th century, it is yet another example of the abundance and cheerfulness of Barcelona architecture. 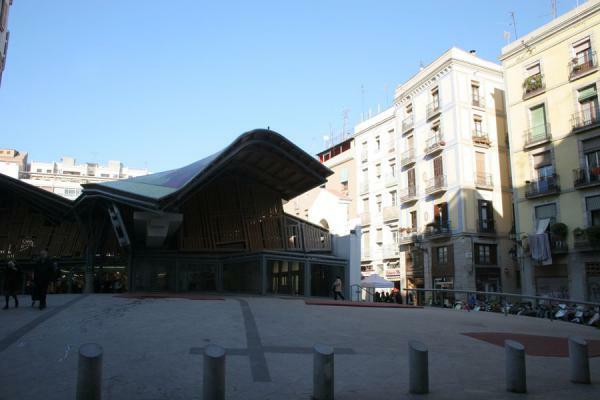 Then, on the other side of Sant Pere, is the new market of Santa Caterina, a unique building with a clean and spacious market inside. 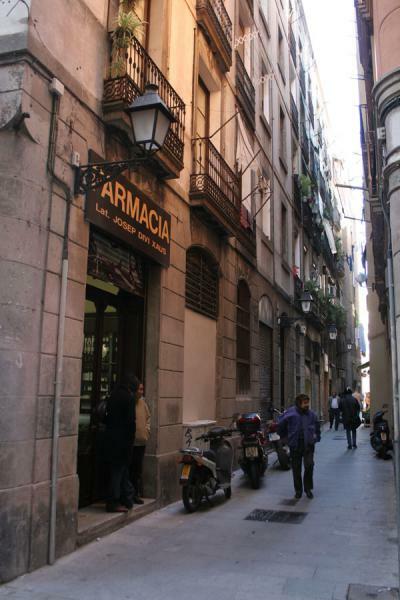 Apart from these buildings, the real attraction of Sant Pere is just to stroll around the small alleys, discover tiny squares, a church, and life as it has been going on mostly unchanged for a long time. 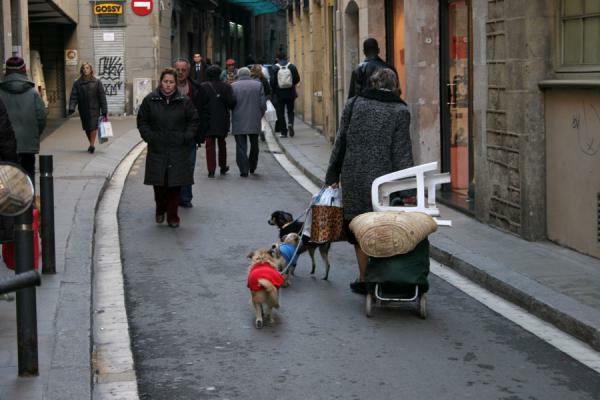 Personal travel impressions both in words and images from Sant Pere (). Clicking on the pictures enlarges them and enables you to send the picture as a free e-card or download it for personal use, for instance, on your weblog. 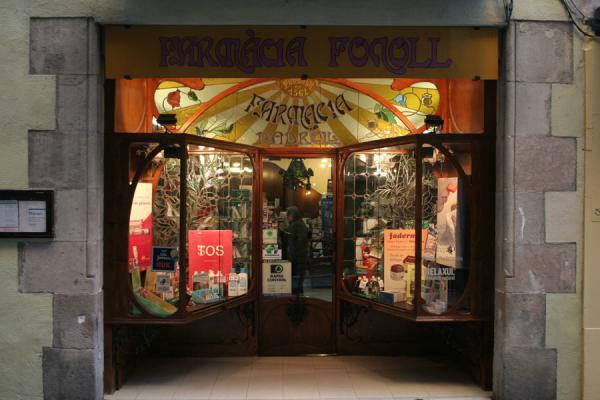 Or click on the map above to visit more places close to Sant Pere. 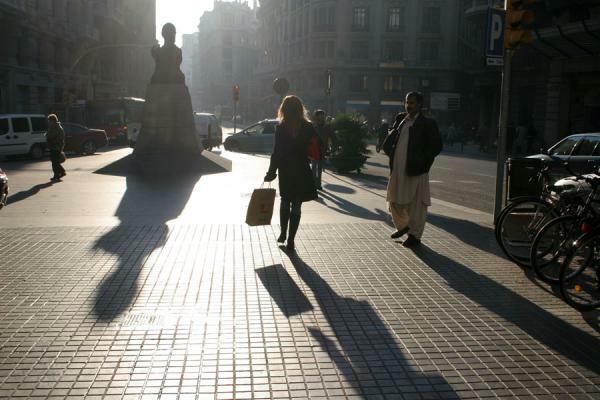 Book a hotel near Sant Pere, Barcelona, Spain with low prices for all kinds of hotels - without reservation fees.